This week Young Legal Aid Lawyers (YLAL) will publish its third report on social mobility in the legal aid sector, ‘Young Legal Aid Lawyers: Social Mobility in a Time of Austerity’. The report is being launched across the country with events in Birmingham, Bristol, Liverpool, London, Manchester and Sheffield. Following a membership-wide survey, YLAL has produced a detailed report which collates responses from students, paralegals, trainees and lawyers up to 10 years’ qualified. Since YLAL’s last social mobility report in 2013, the effects of the cuts introduced by the Legal Aid, Sentencing and Punishment of Offenders Act 2012 (LASPO) have been felt. LASPO has profoundly affected social mobility in the sector. Legal aid law firms and other organisations are struggling to survive and often pay well below the living wage to their employees. - Debt combined with low salaries is a barrier to the profession: 72 per cent of respondents have or will have debt over £15,000 as a result of their education and 26.5 per cent will have over £35,000 of debt. This is an increase of 7 per cent and 11.5 per cent respectively, since our last report in 2013. 53 per cent of respondents earn less than £25,000 per year with 30 per cent earning below £20,000. Our respondents listed low pay as the biggest challenge facing young lawyers in the legal aid sector. - Unpaid work experience is a barrier to the profession: 13.5 per cent of respondents described unpaid work experience as a significant barrier to entry into the profession. - Stress, lack of support and juggling legal aid work with other responsibilities are affecting retention in the profession: stress was cited as the second biggest challenge faced by young legal aid lawyers, with 21 per cent of respondents saying it has been their greatest challenge. The report sets out a series of recommendations to address these issues including that: mandatory minimum salaries for trainee solicitors are reintroduced; organisations adopt YLAL’s work experience charter; and, improved welfare initiatives are introduced. YLAL will consult its membership at the various launch events before launching campaigns in relation to a number of the recommendations within this report. Read the report now. 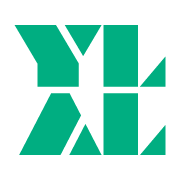 To book a ticket for your nearest launch event, please see YLAL’s Events page here. You can also read about the report in the following: Law Society Gazette, Legal Action Group, Legal Cheek and Legal Futures.